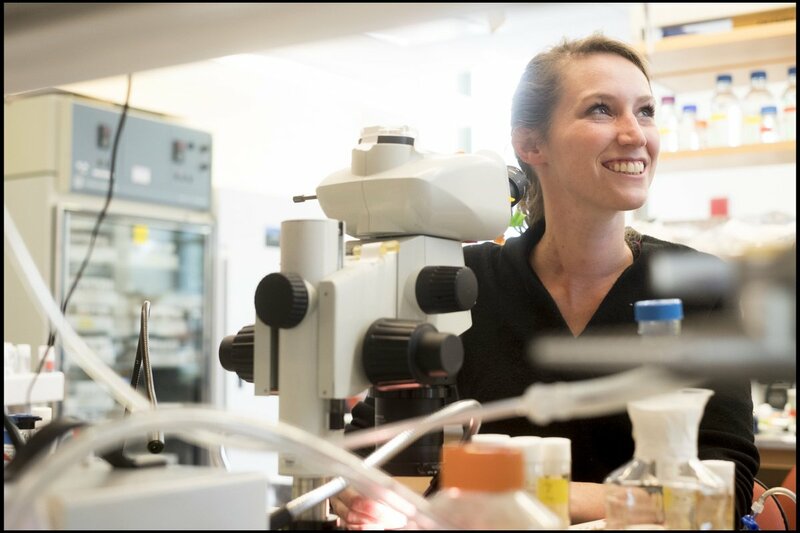 Congratulations to lab alumna Laura Seeholzer!! 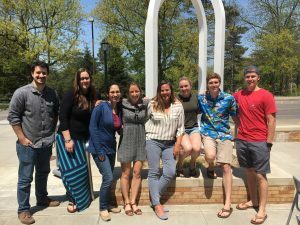 Laura was awarded the Larry Sandler Memorial Award for her thesis work on evolution of neural pathways driving mate choice in Drosophila fruit flies. So proud of her!! 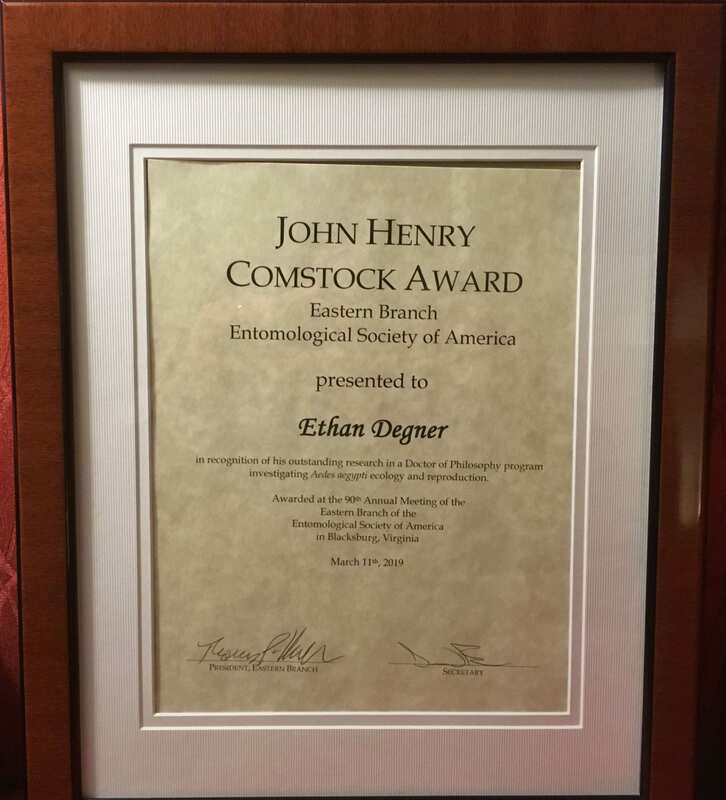 Congratulations Ethan! 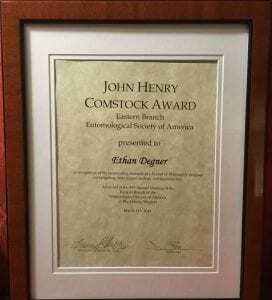 on winning the EB John Henry Comstock Award!! 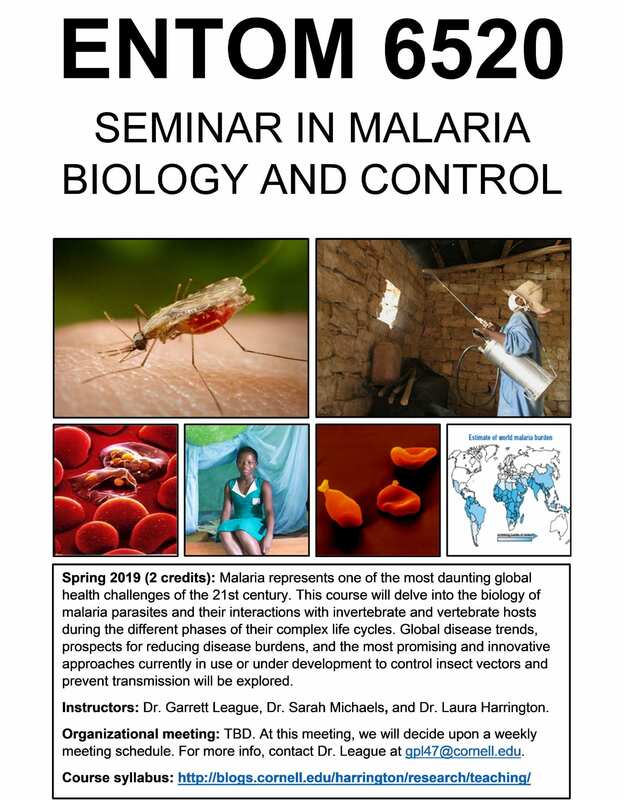 New Spring 2019 Course ENTOM 6520: Malaria Biology and Control ! 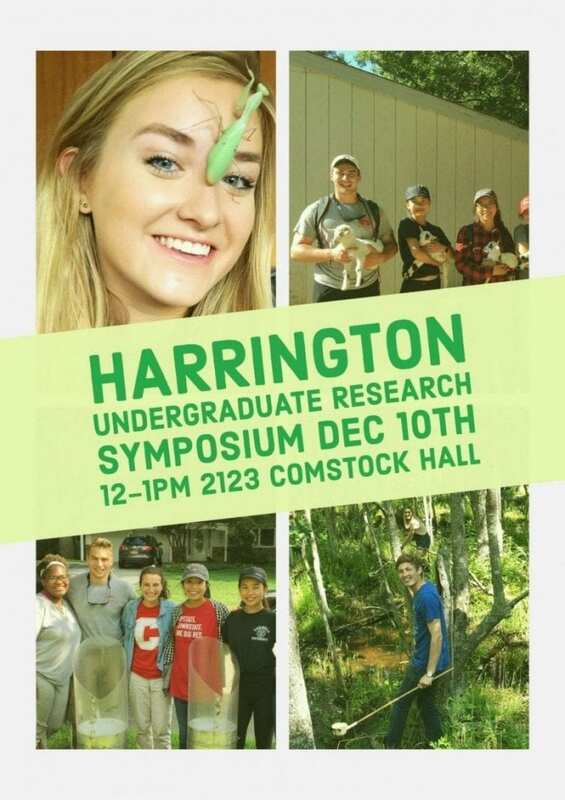 MORE INFO ON THE TEACHING TAB! 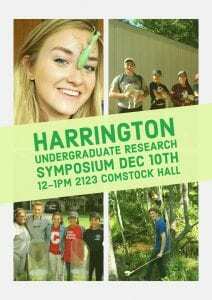 Great job to our undergraduates on presenting your research at the fall Harrington lab symposium! 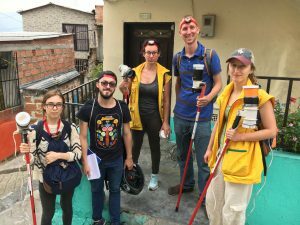 Abstract: The mosquito Aedes aegypti is a deadly vector of arboviral pathogens that cause dengue fever, yellow fever, Chikungunya, and Zika. Ae. 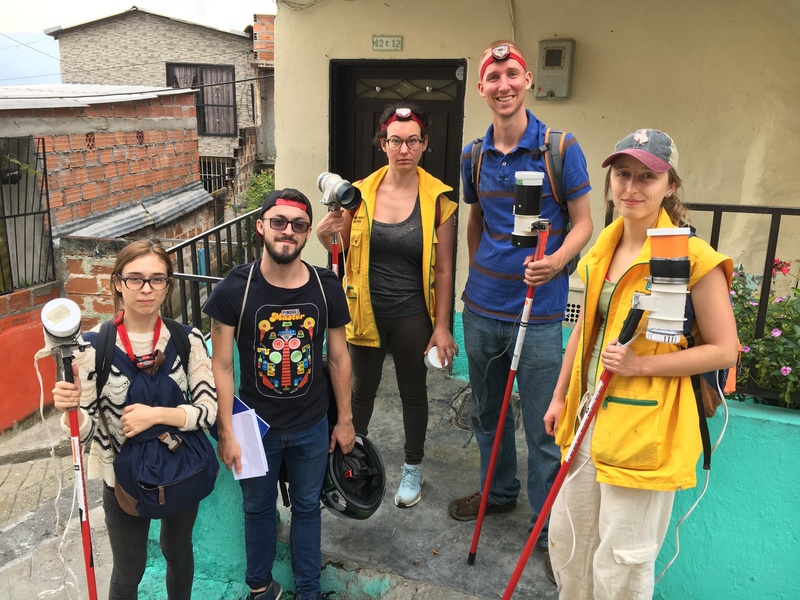 aegypti have colonized large swaths of the globe, in part due to the female mosquito’s exquisite ability to detect human hosts for blood and to find and lay eggs in containers of fresh water associated with human habitation. 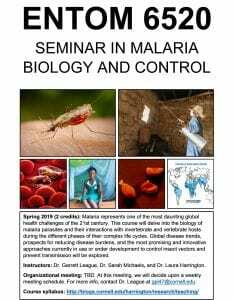 My research is aimed at understanding the genetic and neural circuit basis of mosquito chemosensory behaviors, including host-seeking and egg-laying. I will describe a new chromosome-scale assembly of the Ae. aegypti genome and the development of CRISPR/Cas9 mutagenesis to target specific genetic loci and grant genetic access to molecularly-defined cell types. I have identified an ion channel expressed in sensory neurons of the legs and proboscis that is activated by fresh water and promotes egg-laying behavior. Loss-of-function mutagenesis, behavioral assays, and imaging of neural activity suggests that these sensory neurons represent a critical component of the neural circuitry promoting egg-laying and controlling egg-laying preference. 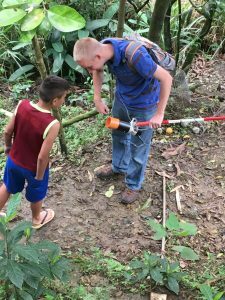 The generation of novel genomic and genetic resources for Ae. 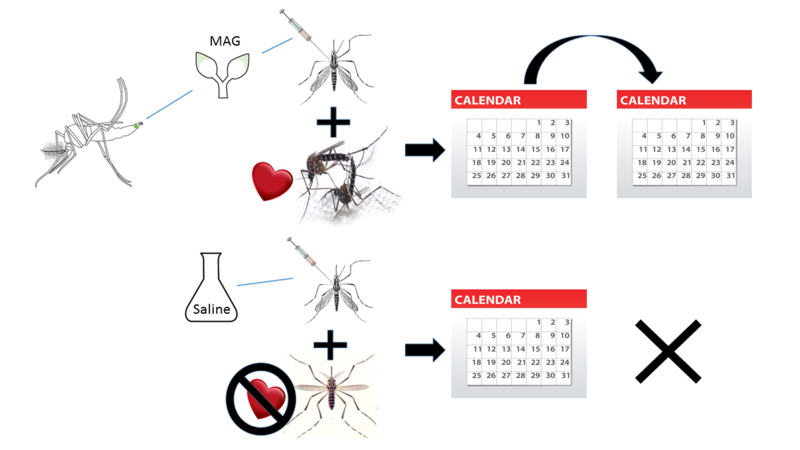 aegypti can inform the rational design of vector control and disease intervention strategies, and provides an opportunity to address how arboviral infection might influence mosquito behavior and physiology at the level of genes, cells, and circuits. 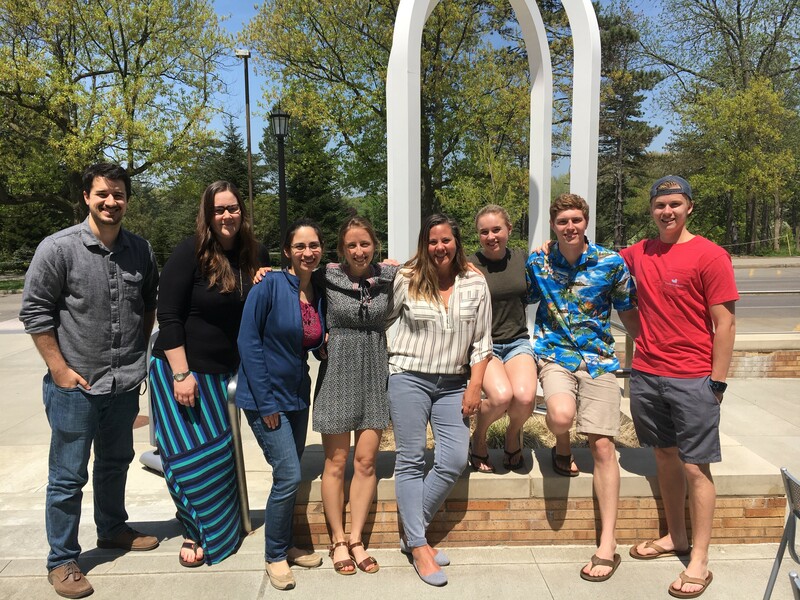 End of semester ice cream social at the Cornell Dairy Bar! A paper that has been years in the making finally is published! 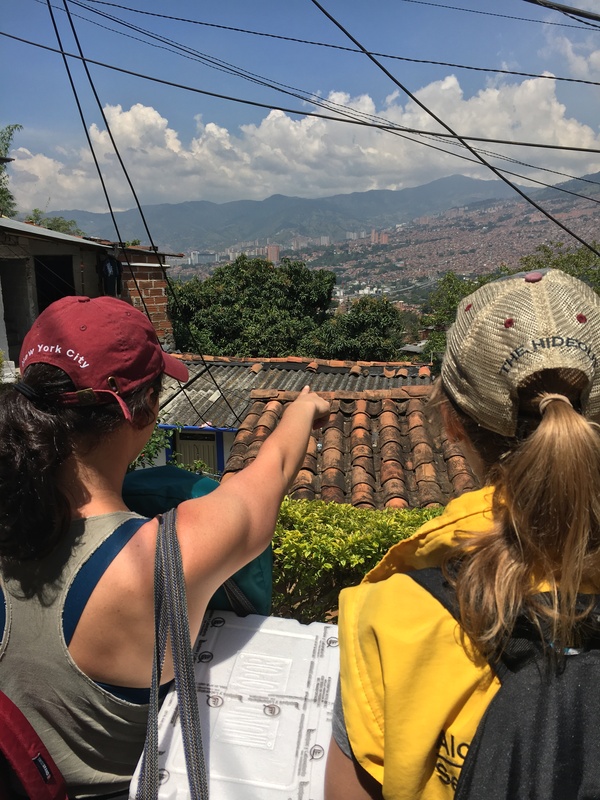 Pictures of Field Work in Medellin! Ethan makes a friend while collecting resting Aedes albopictus. Kara monitors her BG trap collections. 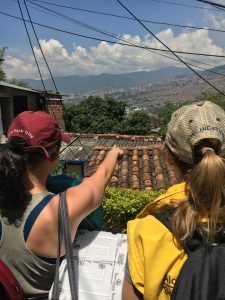 Congratulations Kara, on your Einaudi Center travel award! 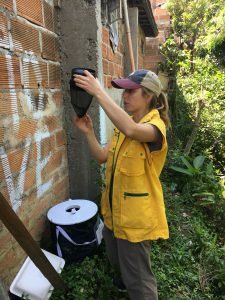 Kara will head to Colombia for her research.